During a Thursday White House press conference, Trump slammed Majority Leader of the Senate Mitch McConnell and threatened North Korea, while taking questions from the press. 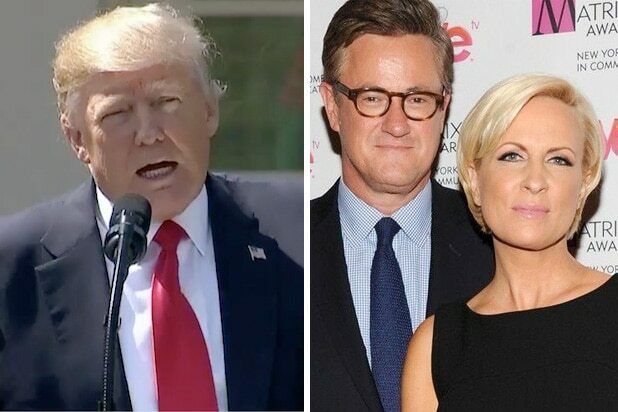 Co-host Joe Scarborough set Barnicle up to go off on Friday, asking what he noticed when Trump talked “to the press for the first time in a long time,” nothing that “unsettling” things were said. “You saw a level of chaos that’s been unmatched in presidential history. You saw a president of the United States literally try to go and an unstable regime into doing something completely crazy that would change our world forever. You saw a President of the United States who clearly doesn’t understand the concept of legislating in Washington,” Barnicle said. Barnicle then said that Trump needs an ally in Washington.